Americans’ primary privacy threat used to be nosy neighbors perched in windows with binoculars. Not anymore. Today, we are being watched, monitored and tracked at nearly every turn. Surveillance cameras are mounted to traffic poles, attached to store ceilings and doorways and put in the hands of anyone who owns a smartphone. Thousands watch us drive to work, shop and play. Casinos snap pictures of our license plates as we drive through their garages, and stores ply us with coupons loaded onto royalty cards to track our habits, likes and dislikes. Businesses and governments worldwide will pour $15.9 billion this year into surveillance cameras, gadgets they say are integral to thwarting crime and competing economically. Technology has made them smaller, clearer and more plentiful than ever. It’s no surprise, then, that expansive surveillance efforts have raised eyebrows. 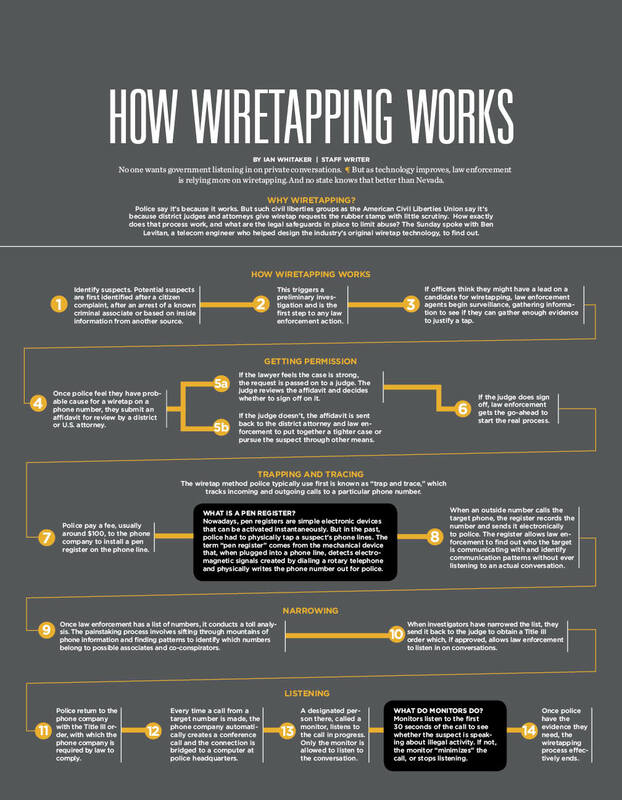 Amid wiretapping and data leaks, people wonder: How much surveillance is too much? And how much privacy can we expect? While the idea of surveillance might make many Americans squeamish, it’s seemingly no big deal across the Atlantic. In the United Kingdom, cameras have long been a part of life. London’s so-called “ring of steel,” a surveillence permiter installed in the 1990s to address security concerns, boasts as many as 500,000 cameras surrounding the city. 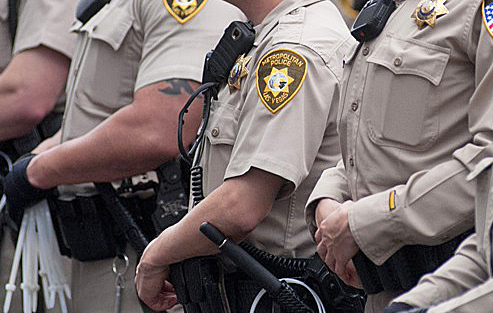 Video cameras undeniably help police in certain situations. They were essential, for instance, in identifying the Boston Marathon bombing suspects. 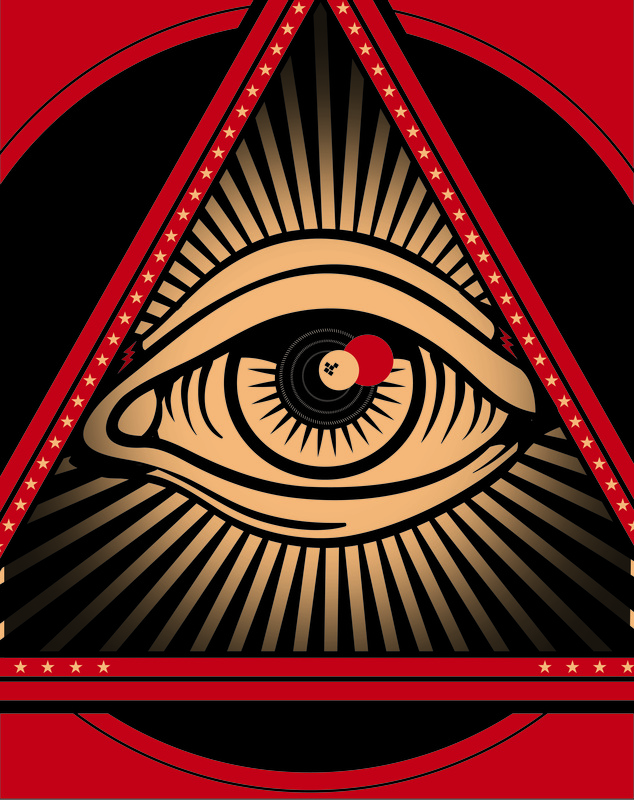 But opponents argue they are overused and are just another Big Brother intrusion by an already overbearing government. And people uneasy about such monitoring have won some victories over the past few years. The U.S. Supreme Court ruled in June that police couldn’t access data from suspects’ cellphones without a search warrant. Fakhoury said the case showed courts and legislatures were waking up to privacy issues. People who use cell phones, cameras and computers also have to keep in mind privacy rights, especially young people, who have never known a world without such digital conveniences. Asking the right questions, however, relies on an informed citizenry. How are you being watched? Read on. An officer scans Las Vegas Boulevard from an office chair 5 miles away. Using keystrokes and a mouse, he zooms in on a bucket of Coors beer. 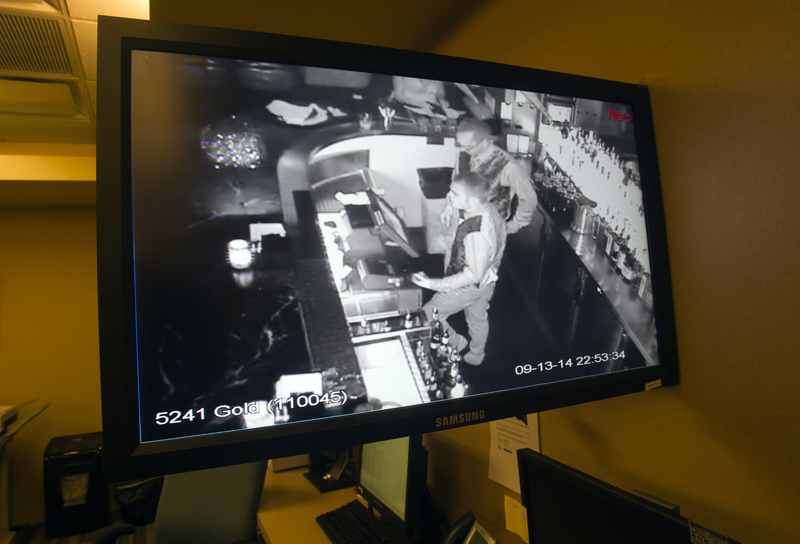 While police don’t care what beverage you’re enjoying, surveillance cameras installed last year on the Strip allow law enforcement to watch over the resort corridor. Last year, 37 surveillance cameras were installed along Las Vegas Boulevard ... The overt, pan-tilt-zoom cameras attach to traffic poles and casino roofs and provide law enforcement with surprisingly clear footage of tourists traipsing up and down the boulevard. The footage is stored for 14 days. In some ways, it’s the future of policing: leveraging technology to put more eyes on the streets. “It’s a force multiplier for us,” said Patrick Baldwin, manager of Southern Nevada’s Counterterrorism Center. 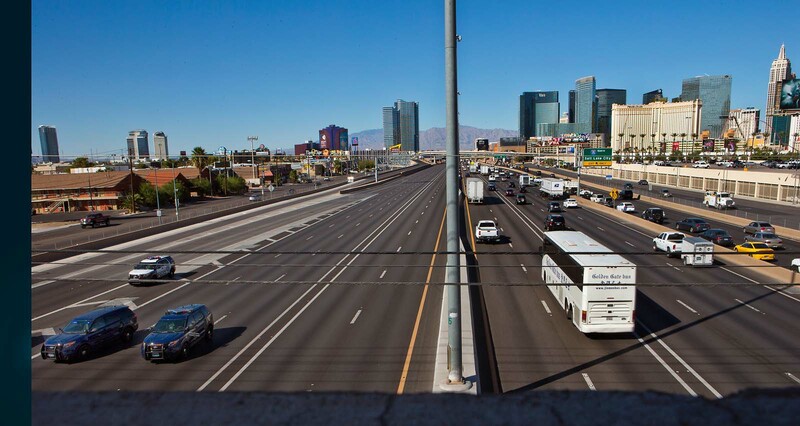 Last year, 37 surveillance cameras were installed along Las Vegas Boulevard, from Russell Road to Sahara Avenue, with money from a $350,000 federal grant. The overt, pan-tilt-zoom cameras attach to traffic poles and casino roofs and provide law enforcement with surprisingly clear footage of tourists traipsing up and down the boulevard. The footage is stored for 14 days. Police said footage has helped detectives solve stabbings and beatings and opened their eyes to crimes targeting tourists. “I don’t really know if we had a handle on how extensive three-card monte scams were on the Strip” before the cameras, Baldwin said. In the coming months, Metro plans to launch a pilot program that would allow officers to view camera footage from inside private businesses, such as convenience stores and fast-food restaurants. Officers staffing the real-time crime center — the department’s name for the camera operations hub — must follow the same rules that apply to police in the field, Baldwin said. That means they’re prohibited from focusing on attractive tourists or following someone’s movements without reason. “Everything we’ve done up here, we’ve met with the ACLU about,” Baldwin said. With additional grant money on the horizon, Metro is working to determine where more camera coverage would be helpful, such as at the Linq and north end of the Strip, Sgt. Sophia Kypreos said. An exact number of new cameras hasn’t been decided. In the coming months, Metro also plans to launch a pilot program that would allow officers to view camera footage from inside private businesses, such as convenience stores and fast-food restaurants, if an employee activates a burglar or panic alarm. Police would be alerted and officers could pull up footage from the business’s camera system. The video feed wouldn’t be viewable all the time. Baldwin said the technology could give police an edge in identifying suspects and providing information to officers en route. The department also has three mobile-platform cameras — visible, clearly-labeled cameras that can be moved anywhere officers want an extra set of eyes. In August, the cameras were used to monitor a parking lot at Sahara Avenue and Las Vegas Boulevard and a crime-ridden apartment complex where a shooting had occurred. The mobile cameras afford authorities a high degree of flexibility during special events or if a known threat arises, Baldwin said. With more than 300,000 students to teach and keep safe, the Clark County School District has placed a premium on surveillance, both in schools and on buses. The nation’s fifth-largest school district has more than 12,000 video cameras spread among every elementary, middle and high school in the district, said Jeff Levering, director of security for CCSD Police. The camera program began in 2000 in response to the Columbine High School massacre, Levering said. Cameras now are standard-issue for every new school built. Levering said school cameras are in plain sight and monitor indoor and outdoor areas where students and staff congregate. The number of cameras varies by school, depending on the floor plan. A total of 603 of the district’s 1,600 buses are equipped with onboard cameras. Another 89 “dummy cameras” scattered on buses give the impression footage is being recorded. Levering declined to say how long CCSD Police stores video footage, but he said his office receives an average of eight to 12 video requests per day to investigate reports of stolen property, fights and other incidents. On their way to and from school, students’ actions are recorded on many buses, too. A total of 603 of the district’s 1,600 buses are equipped with onboard cameras, and 61 have backup cameras for when the buses are in reverse. The cameras record audio and video while the bus is turned on, and footage is stored for 24 to 48 hours, said Ty Rodriguez, a bus video specialist for the school district. Another 89 “dummy cameras” scattered on buses give the impression footage is being recorded. Bus cameras, which also debuted in 2000, have caught drivers talking on cellphones and kids damaging buses. “Some drivers resent it, but if you’re doing your job, that camera is there for your safety as well as the students’,” said Jim Reynolds, transportation operations manager for CCSD. 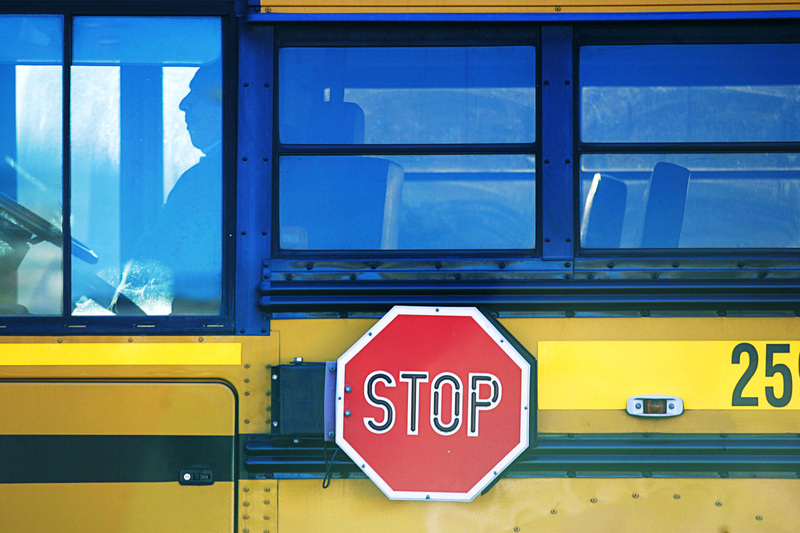 Two district school buses have cameras on the “stop arms” that extend when buses stop to pick up or drop off children. The cameras record license plate numbers of vehicles that don’t obey the law. But it’s just a trial program because the Nevada Legislature hasn’t passed a bill making it legal to issue tickets based on the camera footage. Video can make administrators’ jobs easier because if there’s an accusation, it can be corroborated or disproved with footage. The district does not share footage with parents or students. Only video technicians and select administrators can review the video. If you drive a car to a casino, they know. If you browse the Web on your phone at a casino, they know. If you love baccarat but hate blackjack, chances are, they know that, too. 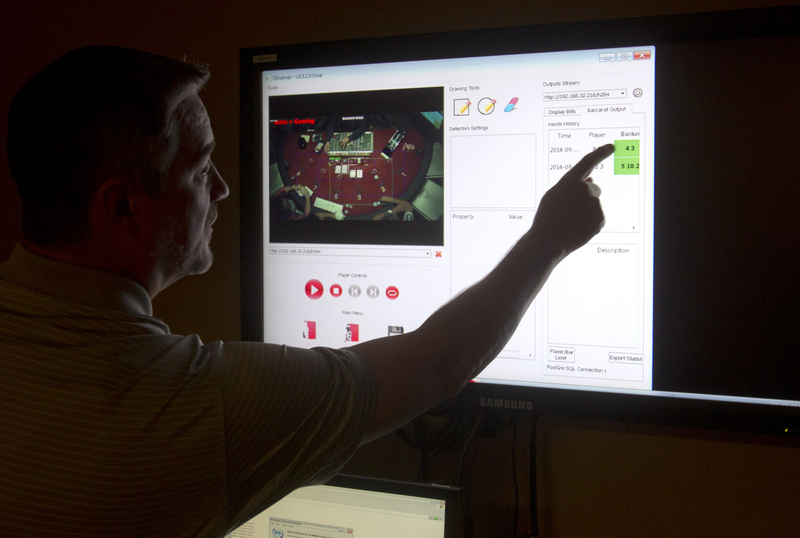 The age of anonymity is largely extinct in casinos these days, thanks to rapidly evolving technology and surveillance teams tasked with keeping resorts safe from criminals and cheats. Most Strip casinos operate at least 2,000 surveillance cameras on property, said George Joseph, a casino surveillance consultant and former director of surveillance at Bally’s. The “eyes in the sky” have become much smaller and more discreet, blending in with casino interiors to give surveillance operators a bird’s-eye view of the floor or a close-up shot of someone’s face. “What has really changed is that casinos have 100 percent coverage of virtually every square inch,” Joseph said. But there’s a catch: Casinos don’t have anywhere near the manpower needed to watch every live feed. Less than 2 percent of footage is viewed live, Joseph said. So how do surveillance teams catch cheats and advantage players? “We look for anomalies in human behavior and anomalies in data,” said Ted Whiting, director of surveillance at Aria, which houses about 3,000 cameras. In a basement room with 24 TV wall monitors, Aria surveillance operators pore over footage from high-definition cameras, 360-degree-view cameras, pinhole cameras, infrared cameras and license-plate recognition cameras. Aria stores the digital recordings for at least seven days. Surveillance operators can retrieve footage and review play when someone wins big, or floor bosses can tip off the surveillance center to suspicious activity. As a general rule, casinos are more interested in what you’re doing than who you are, meaning hands and feet are more important than faces — at least for now. Whiting teaches his staff to pinpoint people of interest by watching how they walk and noticing their shoes. He reasons it’s easier for crooks to slap on a dress shirt and jacket than take the time to buy or steal nice footwear. “The guys who are here to steal your purse and your slot ticket have nasty shoes,” Whiting said. Many casinos, including Aria, don’t use facial-recognition technology, but Whiting said he expects that to change within the next 18 months as technology advances. Joseph said he first tested facial-recognition software in 1994 at Bally’s. The computer program created a mathematical grid of a person’s facial features. But what had worked well in controlled environments, such as at motor vehicle departments, didn’t pan out. 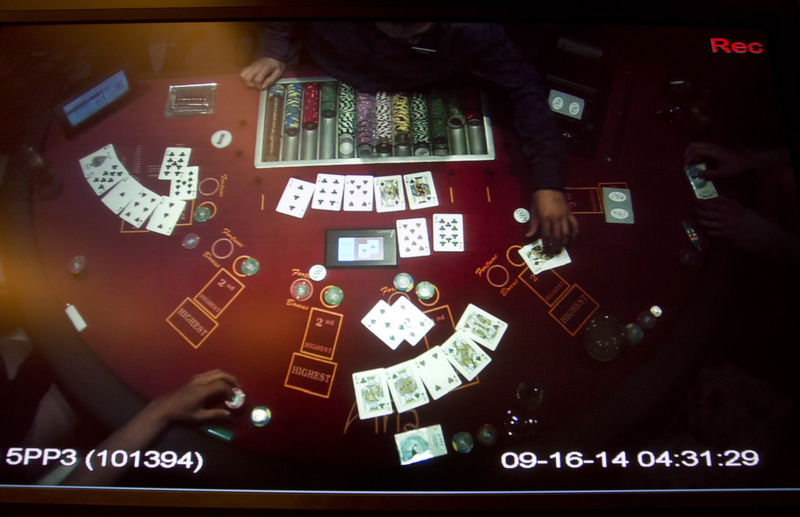 The problem: Casino cameras couldn’t capture enough straight shots of people’s faces. Loss-prevention efforts also extend to the back of the house, with cameras monitoring employee and vendor activities in nonpublic areas to catch people stealing food or other items, Joseph said. "They know which games you prefer, what food you like to eat, when you like to visit, and whether you would like standup comedy, ’80s rock concerts, or shows where transvestites lip-synch while pretending to be Cher, Dolly Parton or Madonna." - Adam Tanner, “What Stays in Vegas"
“You save more money in those areas than you ever do in table games,” he said. And when cameras aren’t watching you, computers are. Adam Tanner, author of “What Stays in Vegas,” spent a year studying Caesars Entertainment’s data collection efforts. Caesars’ customer loyalty program assigns patrons a number that tracks their activities. “If you sign up, which the overwhelming majority of clients do, Caesars records how much you typically wager in a day, to the penny if you play electronic games such as slot machines,” Tanner writes. “They know which games you prefer, what food you like to eat, when you like to visit, and whether you would like standup comedy, ’80s rock concerts, or shows where transvestites lip-synch while pretending to be Cher, Dolly Parton or Madonna. As for how casinos will track guests decades from now — that’s anyone’s guess. This kind of technology advances at near lightning speed. Whiting said the electronics housed in the Aria surveillance center are outdated. They are five years old. The Regional Transportation Commission operates an elaborate system of more than 400 traffic cameras in the valley that monitor traffic flow, check for irregularities and target crashes. Operators can tweak traffic signals if intersections become congested, and when motorists call 911 to report a crash or problem, operators can scan camera views to find the location — all with the click of a few buttons. The Freeway and Arterial System of Transportation (FAST) incudes 316 cameras on surface streets and another 123 on highways. Six RTC employees at a time staff the traffic management center in a building shared with the Nevada Highway Patrol. On freeways in urban areas, cameras on 80-foot poles are stationed every half mile. They capture live images only and don’t record anything. “The bottom line is safe and efficient travel on freeways and surface streets,” FAST director Brian Hoeft said. The RTC plans to add cameras in the valley’s northern parts that are expanding. Don’t fret too much if you mistakenly run a red light, though. Nevada is one of 26 states without red-light cameras or speed cameras, according to the Insurance Institute for Highway Safety. Nevada prohibits the use of imaging equipment unless it is held by an officer or installed in a vehicle or law-enforcement facility. But it’s not for a lack of trying. In 2011, the North Las Vegas Police Department lobbied the Nevada Legislature to allow red-light cameras, but the bill was yanked because of privacy concerns. Retail stores use cameras for more than just spotting shoplifters and sticky-fingered workers. “People want to know the dynamics of who’s shopping there,” said Paul Everett, research director for security at IHS, a research firm that studies security. Surveillance cameras measure checkout lines and create heat maps near new product displays to show how many customers stopped. Retailers use customers’ mobile phones to glean information about their shopping habits. RetailNext, an in-store analytics provider, can track shoppers’ paths through a store if their cellphones look for an open Wi-Fi network to join. Many British supermarkets use license-plate recognition technology to keep track of who’s shopping at the store, Everett said. The license plate number is tied to the customer’s reward card. Perhaps the most overt forms of customer tracking are loyalty and rewards programs, which offer money-saving perks to customers who agree to have their shopping habits tracked. Such disclosures often are included in tiny print few consumers read. Department stores, airlines, financial services companies and gaming corporations also have gotten in on the game. Loyalty programs grew almost 27 percent in the United States from 2010 through 2012, according to Colloquy, which researches loyalty practitioners around the world. There were 2.65 billion U.S. loyalty program memberships in 2012. Considering those numbers, it’s no wonder companies know so much about us. Last month, Apple CEO Tim Cook wrote a letter to his legions of customers on a topic that has captured many recent headlines: privacy protection. The message vowed to explain how the tech giant uses personal information and what it does and doesn’t collect. Apple also promised to deliver privacy updates at least once a year. The timing was more than appropriate given Apple’s foray into services rife with privacy concerns: health and money. When Apple Pay launches this month, iPhone 6 and iPhone 6 Plus users will be able to pay for goods in stores and apps with what’s being billed as an “easy, secure and private way.” Apple promises users’ credit and debit card numbers won’t be shared with merchants or transmitted with payments, and payments made in stores won’t be transmitted through Apple. Apple’s Health app stores users’ health and fitness data, but the app is encrypted with keys protected by users’ iPhone passcode. Apple assured users other apps that work with Health are prohibited from selling or sharing Health data to advertising platforms, data brokers or information resellers. Apple also announced that devices run by iOS 8 will be protected from government intrusion thanks to users’ passcodes. As good as that sounds, Electronic Frontier Foundation attorney Hanni Fakhoury urged consumers to remain vigilant and do extra research. In theory, police still could access iPhone information if the passcode isn’t working or if users are storing information in an iCloud, he said. Default settings on phones and social media can open consumers up to intrusion if they’re not careful.